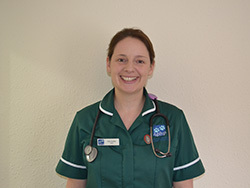 Eloise is a Registered Veterinary Nurse who qualified in 2001 and joined the Pet Health Partnership in February 2005. Eloise has many years experience and leads the Wareham practice. Eloise lives with her partner and her son, and has a cat called Keo and two guinea pigs called Gru and Drew. In Eloise’s spare time she enjoys going for walks, seeing friends, keeping fit and going to the cinema.